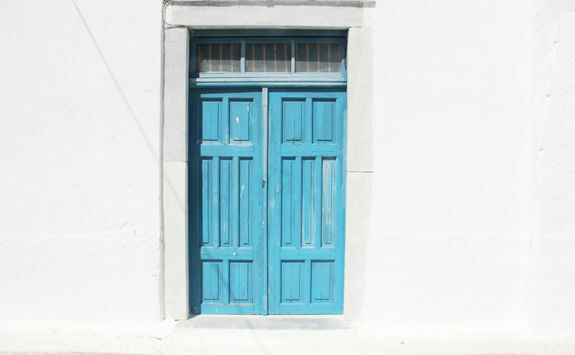 Kate L is here to help give you the inside track. 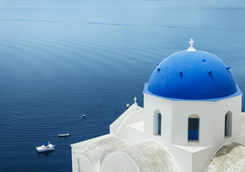 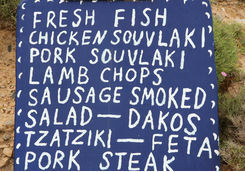 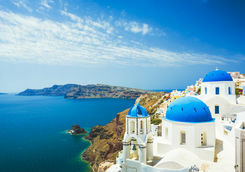 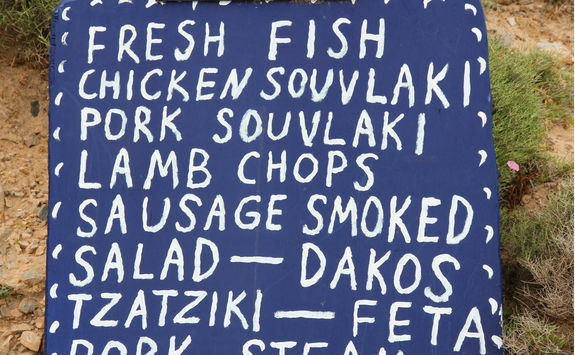 What could be more relaxing than 11 days of sun, sea and souvlaki (delicious kebabs) in Greece? 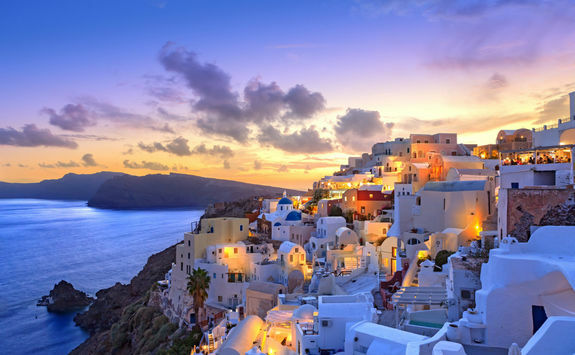 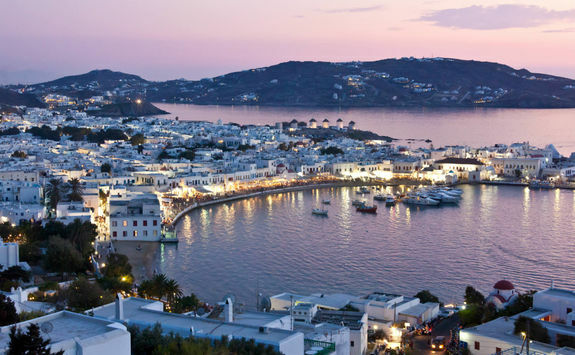 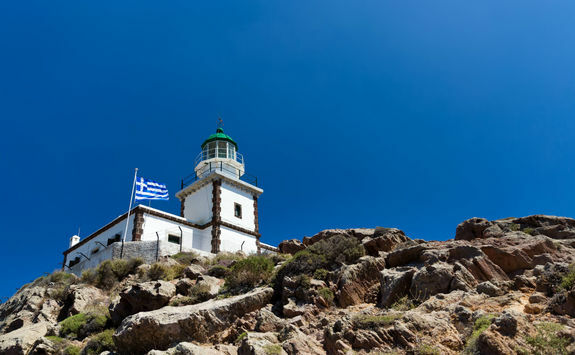 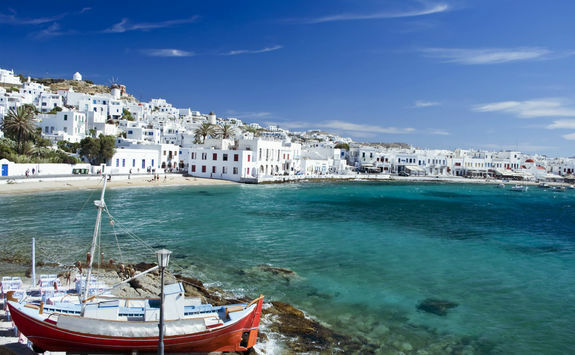 Spend your holiday island hopping between Crete, Santorini and Mykonos, taking in a little bit of culture, a healthy dose of vitamin D and a lot of excellent Greek food and wine. 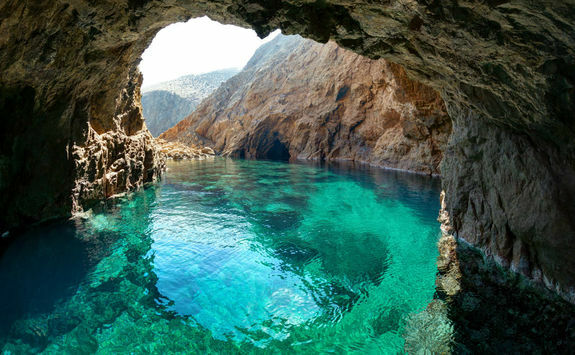 This morning you will leave the UK and head to the first stop on your island-hopping adventure: Crete. 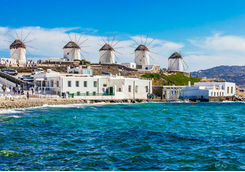 After you have collected your bags at Heraklion airport one of our team on the ground will meet you for the 45-minute private transfer to your first hotel. 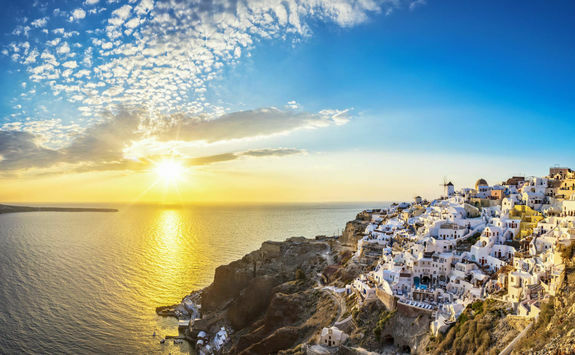 Once you're all settled in, spend the rest of the day soaking up the sun or going for a dip in your pool. 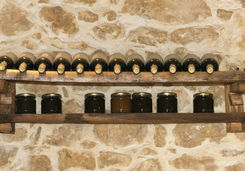 After breakfast this morning you will be privately transferred to a nearby wine estate for a private cookery class. 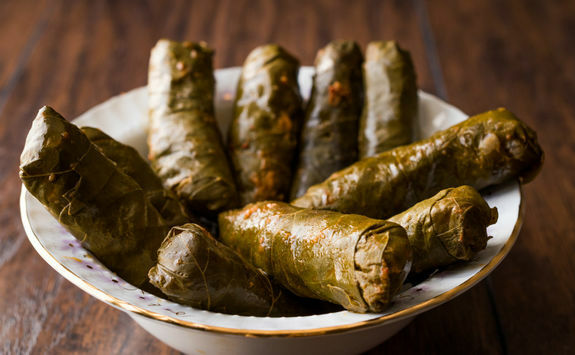 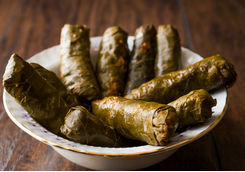 Following a tour of the winery, you will head to the kitchen where, under the watchful eye of your expert instructor, you will whip up traditional Cretan dishes, including stuffed vine leaves, moussaka and mizithra soft cheese pies. 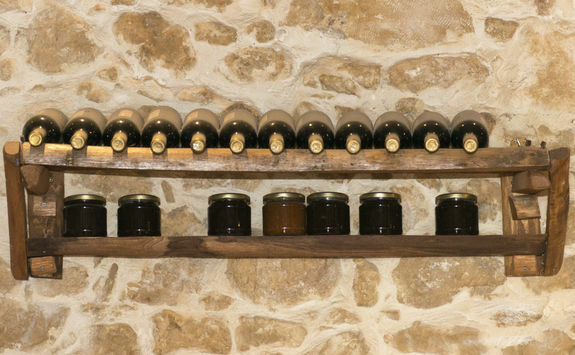 Once all the food is ready, you will tuck in to the fruits of your labour, followed by a tasting of some of the estate's best vintages. 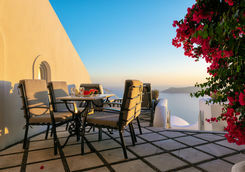 After your return to your hotel, you can spend the rest of the day snoozing off the excesses by the pool. 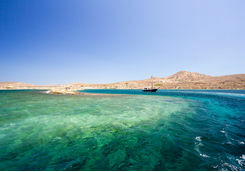 After a lazier start to the day, this afternoon you will be privately transferred to Heraklion. 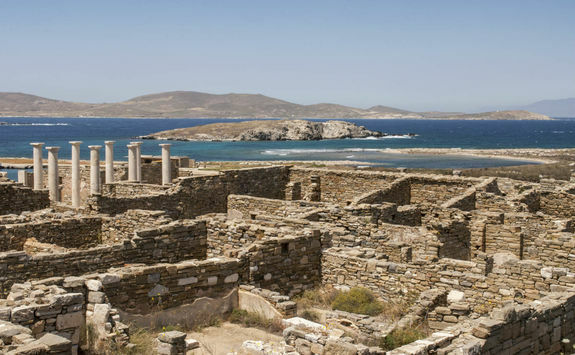 Here, you will meet your expert archaeologist guide for a tour of what was once the heart of King Minos' realm. 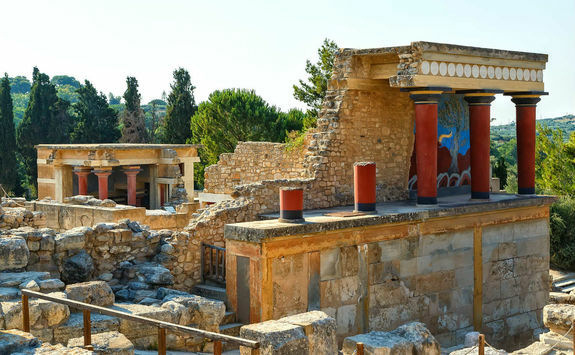 Together you will walk the streets of the city, discussing Greek mythology, Minoan civilisation and how 21st century tech is helping researchers learn more about the lives our ancient ancestors lived. 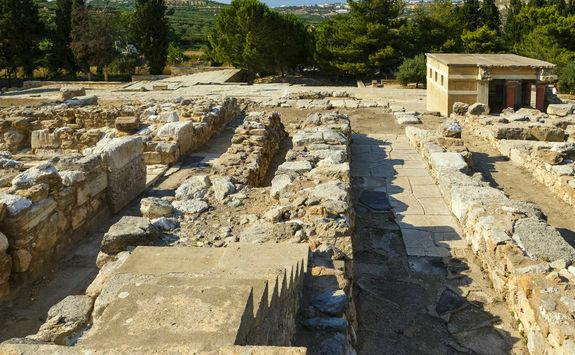 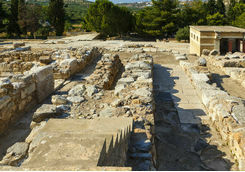 As you visit the spot said to be the Minotaur's labyrinthine lair (designed by Daedalus, father of the ill-fated Icarus) and explore the city's archaeological museum you will gain a deeper understanding of the myths and legends about an island that was home to Europe's first civilisation. 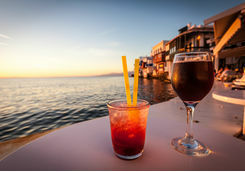 This evening, enjoy a sundowner or two overlooking the Sea of Crete before making your way to a local taverna - our local Concierge can recommend and book the best - for dinner. 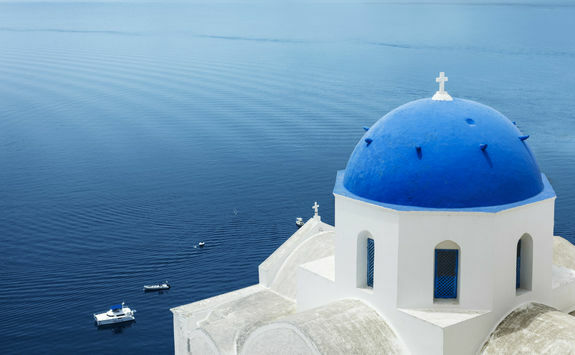 After an early breakfast this morning you will be privately transferred back to Heraklion to catch a two to two-and-a-half-hour ferry across the Aegean Sea to Santorini. 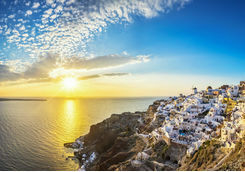 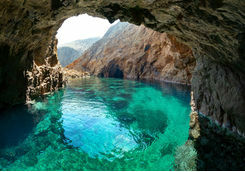 Once back on dry land you will be privately transferred to your cliff-top hotel just outside the picturesque town of Oia. 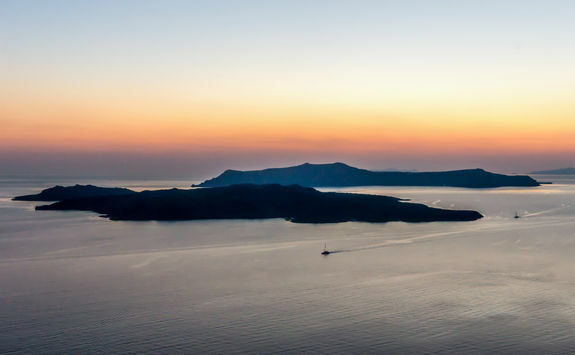 No matter which of the handful of rooms we have chosen for you, you will have a spectacular (and, most importantly, crowd free) view of the famous volcano caldera for your first Santorini sundowners. 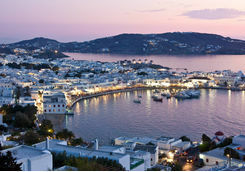 Then our Concierge can recommend the best restaurant in town. 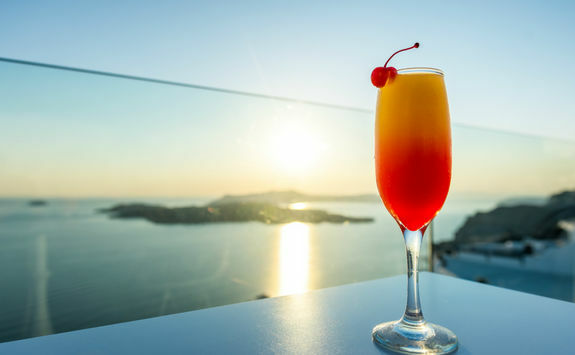 Today, we recommend that you take the time to relax. 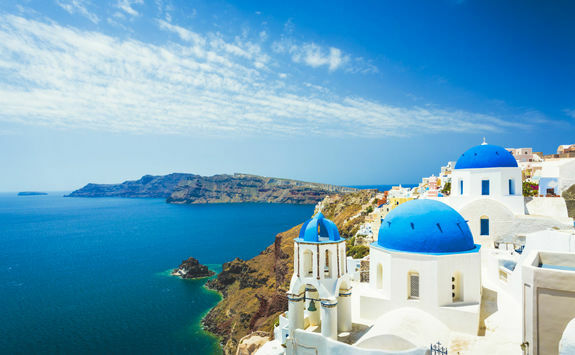 There is plenty to do on Santorini, from pottering around Oia and Imerovigli towns to hiking to elevated viewing spots and swimming in the sea. 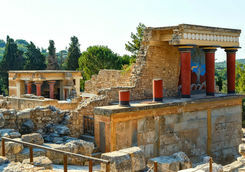 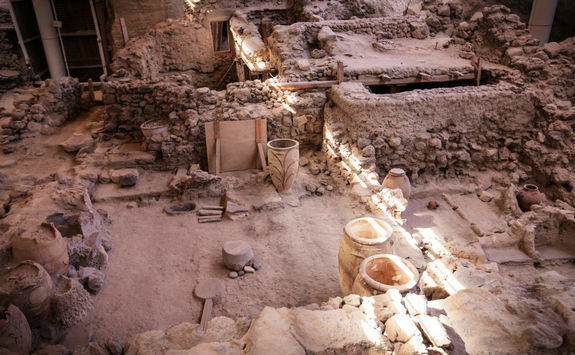 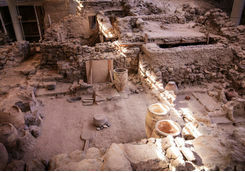 We can also arrange spa sessions and trips to ancient Akrotiri, another Minoan era Bronze Age site. 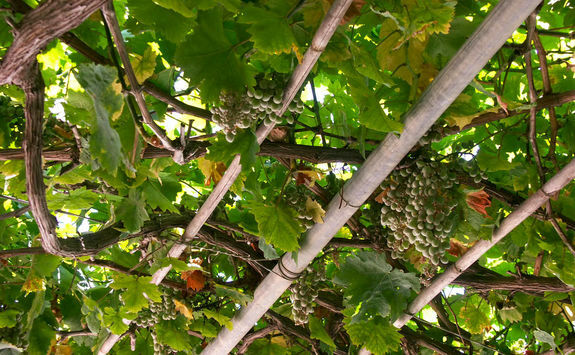 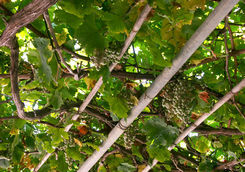 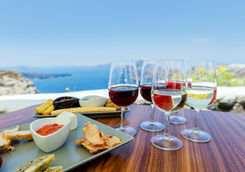 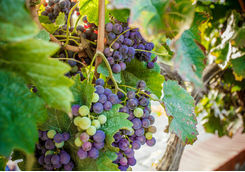 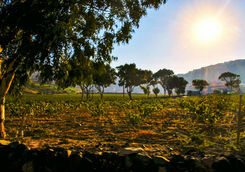 Late this morning you will meet up with an expert sommelier for a four-hour tour of Santorini's wineries. 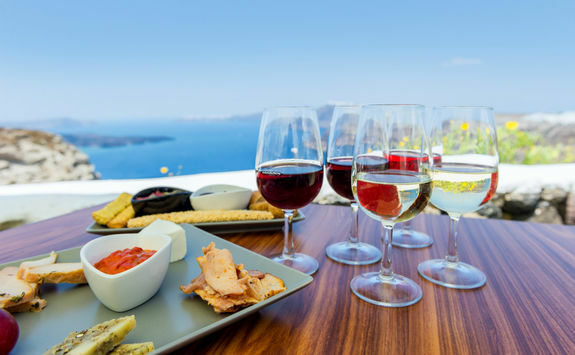 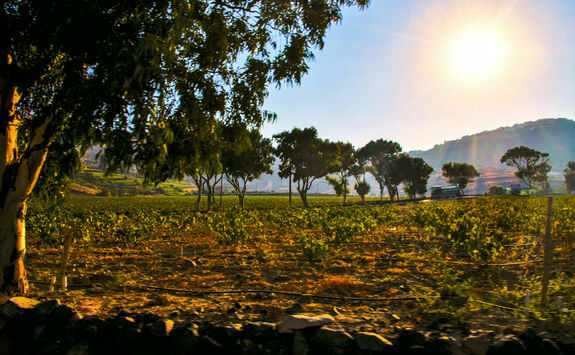 Together, you will visit three distinct traditional wineries and learn about how the volcanic soil on Santorini creates what is generally considered Greece's finest wines. 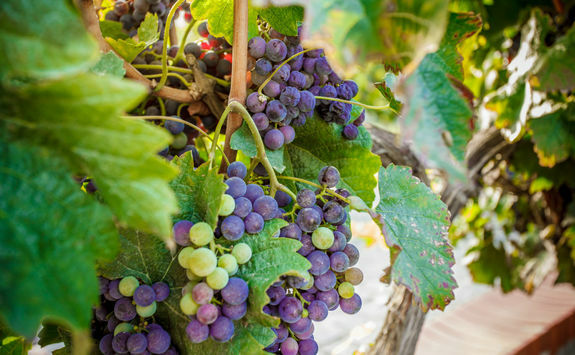 As you enjoy your tastings, your guide will dive deeper into the history of wine on the island and how it has developed over the millennia. 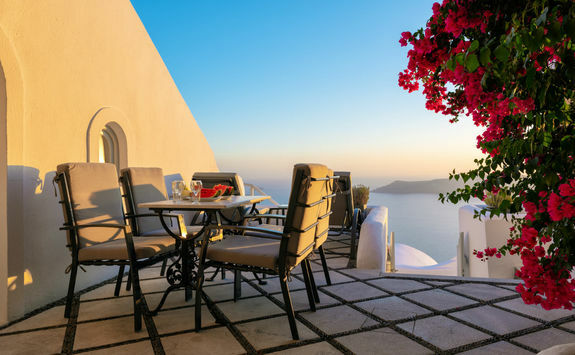 Once back at your hotel, you will have time to relax before dinner and drinks in Oia this evening - our Concierge will have pre-booked a table at one of our favourite restaurants for you. 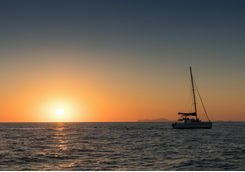 This morning you will be privately transferred to the southern side of the island, where you will board your catamaran for a tour of the island. 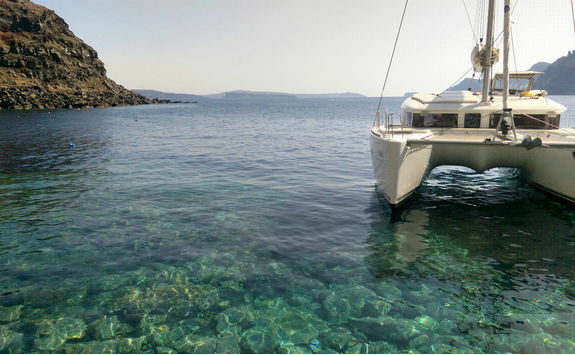 As you cruise past the beautiful volcanic red and white beaches of Santorini your crew will carefully choose the most private spots for you to jump in and have a swim or snorkel. 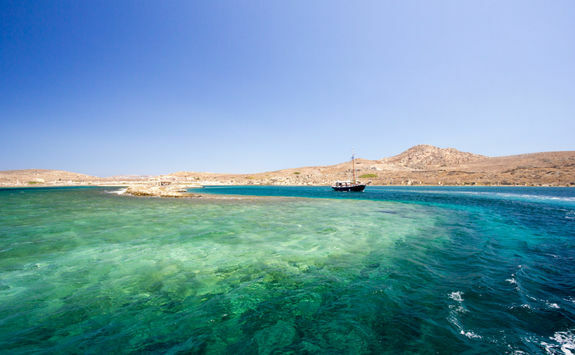 As you sail past the Indian Head Mountain, the Old Venetian Lighthouse and into the iconic caldera you will make a few more stops for swimming at the islands hot springs and enjoy a delicious lunch whipped up by your crew. 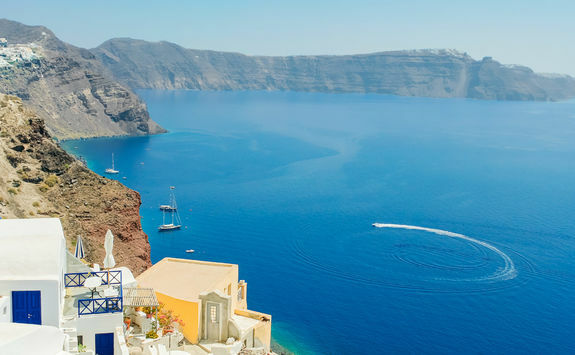 When you're sailing past Tholos Naftilos, the small island in the middle of the caldera, make sure to do a 360 spin to take in the sheer scale of the crater rim of which Santorini forms the main part. 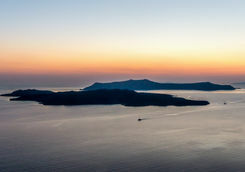 You get a real sense of the vastness of the volcano that erupted sometime around 1500 BC, and which many think gave rise to the legend of Atlantis. 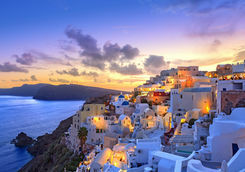 After you have disembarked you will be privately transferred back to your hotel in time for your final Santorini supper. 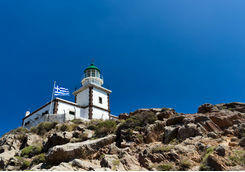 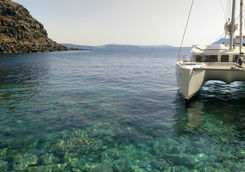 After breakfast this morning you will be privately transferred to the port to catch the ferry to Mykonos. 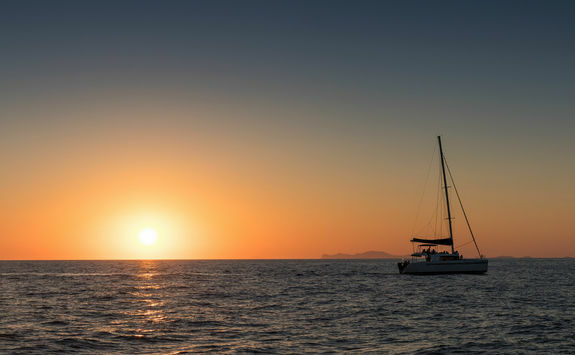 Depending on which one we have booked for you, you will arrive on your final island of the trip between early and mid-afternoon. 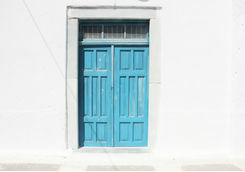 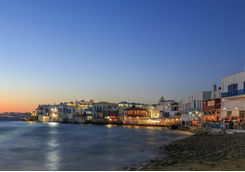 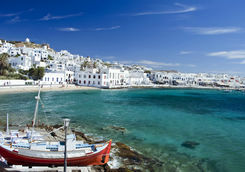 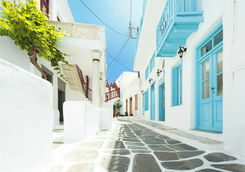 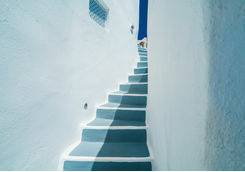 After a five-minute private transfer, you will have the rest of the afternoon to settle into your hotel and get your bearings before heading out this evening to enjoy some of Mykonos' legendary nightlife - consult our Concierge and detailed destination Dossier for our favourite spots for dinner, drinks and dancing. 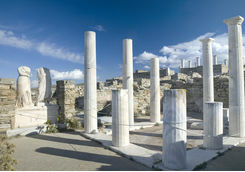 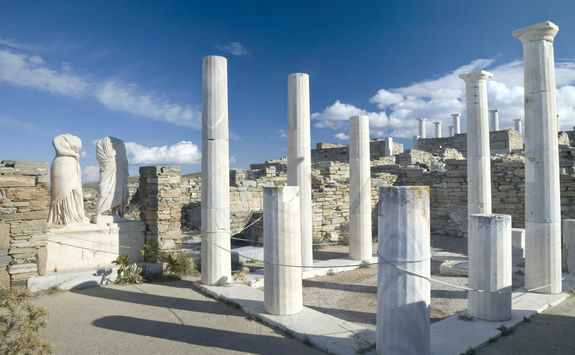 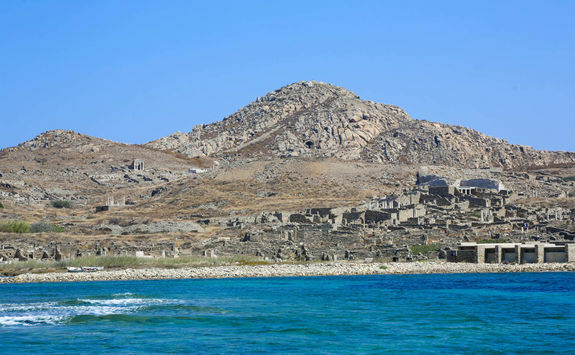 This morning you will visit Delos - a tiny, uninhabited island off Mykonos - with an expert guide. 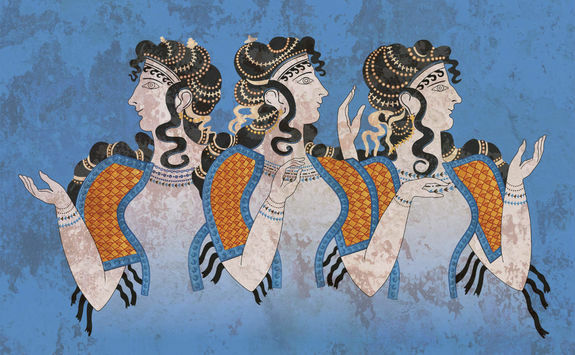 Now under the protection of Greece's Ministry of Culture, Ancient Greeks believed it was the birthplace to Artemis, goddess of the hunt, and her twin brother Apollo, god of healing and medicine. 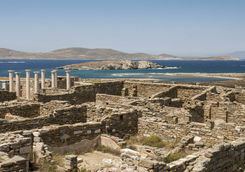 With your guide, you will explore the ruins on the island and learn about its history - from birthplace of deities to contested colony. 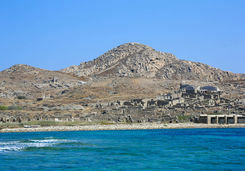 The island was abandoned in the 6th century BC and has been well preserved. 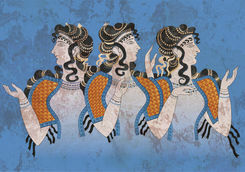 There are some beautiful mosaics and epigraphs, which makes it a pretty good guide to how people lived in antiquity. 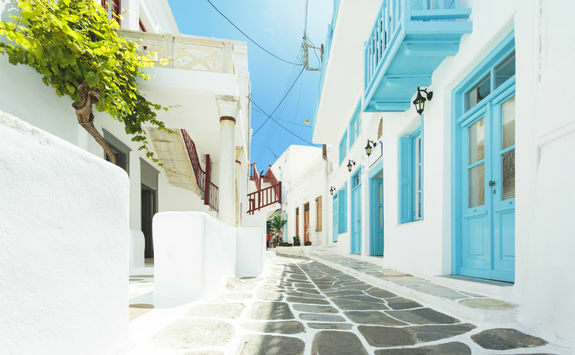 Today is yours to explore Mykonos at your own pace. 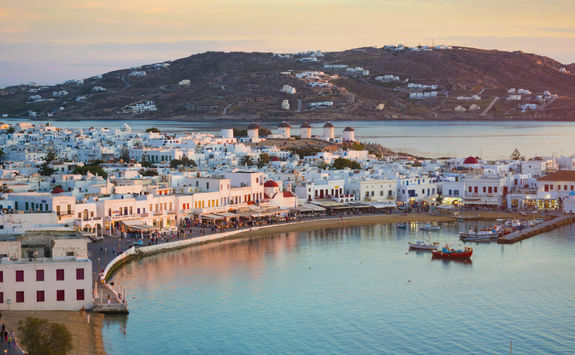 Between its museums, historical sites and beautiful beaches, there is plenty to do, and your Dossier includes a few suggestions. 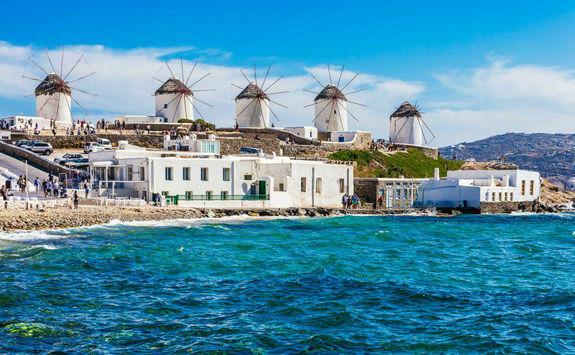 Little Venice, one of our favourite areas, is a romantic and pretty spot close to the sea and best known for its charming medieval houses. 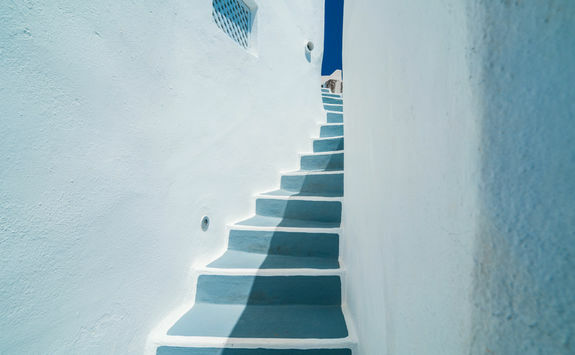 If you'd prefer something a little more planned, one call to our impeccable local Concierge is all it takes and they will be able to arrange any sort of activity. 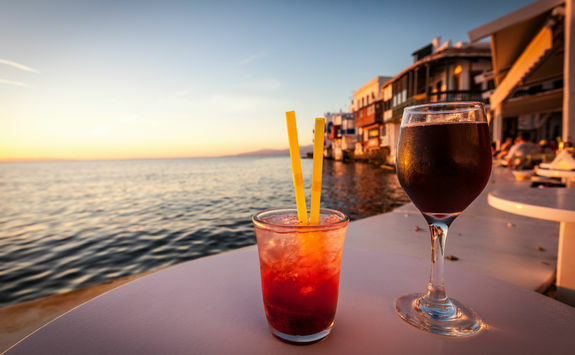 Tonight is the last night of your island hopping adventure, so we have pre-booked a table at one of our favourite restaurants for you. 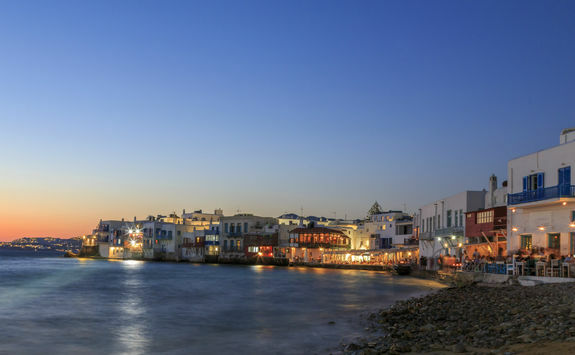 Mykonos is well-known for its nightlife, so again our Concierge can reserve a table in the coolest club should you want to end the holiday with a bang. 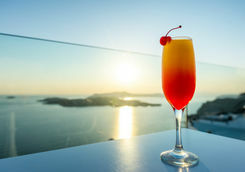 This morning you will be privately transferred to the airport in good time for your lunchtime flight back to London, which will land in the mid-afternoon. 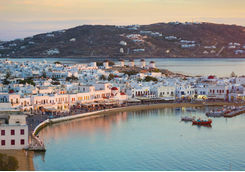 Kate L is our expert for this itinerary and, as a seasoned traveller, has the inside track on the most memorable adventures.